Websites are great, but nothing beats an actual physical copy of your offers. 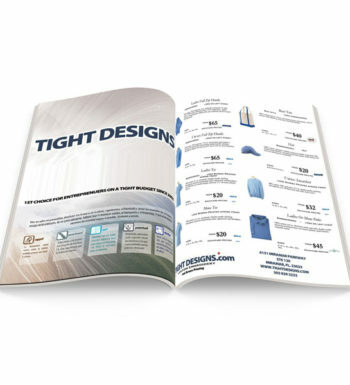 Display your product or services in beautiful Full Cover prints available from 28 to 92 page Perfect Bound Catalog booklets. 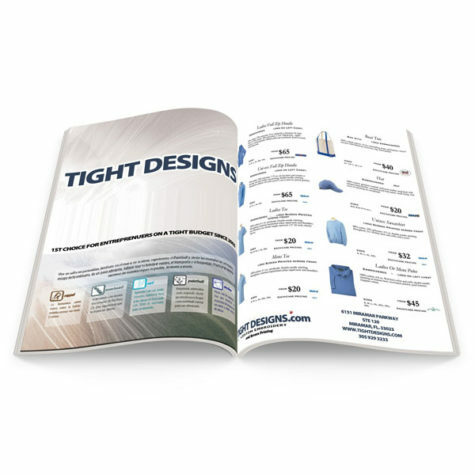 Perfect binding gives your catalogs a more finished, refined look. A 10pt C1S cover (no coating) is bound with 80lb book (no coating) on the inside. The cover will be printed as 4:0 with the inside cover being blank and the inside of the booklet will be printed as 4:4. Perfect Bound Catalogs are perfect for catalogs, manuals, presentations and proposals. Artwork created for/from another company may not meet our guidelines. For best results, please download our templates. The cover is counted as page 1, inside cover as page 2 and so on. Total bleed is .25″ and total Safety is .5″. Your 8.5×11 booklet with bleed should be 8.75×11.25 total. This allows us to set up your crossover pages properly. NO readers OR printers spreads. We only accept single pages. We prefer a multi page PDF. Feel free to contact us with any questions before submitting your order.